Roscoe Arbuckle’s two-reel comedy The Cook is 100 years old this year (2018), and it nearly didn’t make it. The film was considered lost for over 70 years. Fortunately a chance find of two prints, in Norway in 1998 and the Netherlands in 2002, has restored most of this precious comedy to its original form. And precious it is. Arbuckle and his crew, including Buster Keaton, Al St. John, Alice Lake, and of course Luke the Dog, who had the happiest canine grin in all cinema, are on a roll here. The gags flow without stop; there are no longueurs, no lapses. You watch a group of mostly young, free-spirited comics go wherever inspiration moves them. They’ll take off with one funny routine and rush ahead with it (speed underlies the entire film), then launch into another along the way. There’s not much in the way of a structuring principle save one: if it’s funny and it works, toss it in. One of the charms of early silent comedy is that very lack of structure, the willingness to take any inviting turn into humorous territory. I think the last great film comic to work like this may have been W.C. Fields, whose eccentric film plots seemed arranged around Fields’ private whims. The Cook hasn’t quite that sense of private whimsy, but it does convey a sense of the world as one’s playground. There isn’t so much a plot as a situation—in this case, an upscale diner, with interactions between staff, customers, and the occasional interloper—to which the comics respond with gags, routines, improvs, whatever strikes them as funny. And fun. And it’s hilarious. Arbuckle and co-genius Keaton work in gags seamlessly, almost off-handedly, at such pace and plenitude that it may take a second or even third showing to catch them all. One running joke is a large vat on the stove that, like the Dagda’s Cauldron, serves any and all that’s needed. Items coming out include coffee, soup, stew, gravy, meat, milk, ice cream(! ), and finally the cook’s jacket when he heads off at day’s end for a fishing trip. I suspect it might have even supplied the fish, if necessary. I can’t begin to summarize all the crazy inventiveness here. Fatty as the cook bounces eggs on the floor and catches them in the skillet; he flattens dough by running it through a clothes wringer; he flips knives in the air so they land point first; he holds spaghetti between two forks like knitting needles and then ‘knits’ the strands together (you can see his lips mouthing knitting and purling). Another running gag has Arbuckle throwing filled plates and cups across the kitchen, to be invariably caught, on the cut, by Keaton. Watch how he and Keaton add grace notes to all the jokes—when Roscoe flips a flapjack, he tosses the pancake up, then whirls around to catch it behind his back, while Buster twirls cups and bowls up, down, sideways, and around—just for show, just to show they can. It’s comedy for comedy’s sake, for the purity of the humor; it’s done because they have the skill and grace to do it; and because why not? Yet the comedy is grounded in objective reality. While Fatty sweeps the kitchen floor we see in the background the dish washer washing dishes, almost constantly (with some assist from Luke). We see the well-dressed guests eating and chatting, the eager-to-please headwaiter, the bored cashier, Buster the waiter shouting the orders, one hand cupped to mouth like half a megaphone. The action is free-flowing, ambling, never boring, never losing its pace, the comics practically burbling with ideas. Every few minutes the scene changes: the busy restaurant action will switch to an epic spaghetti-eating contest; Al St. John will thuggishly enter to bully the staff, only to exit, pursued by Luke; then Buster, Fatty, Lake, St. John, and Luke all head to Coney Island for further hi-jinks, including a race with goat carts, more chases with Luke and St. John, an ocean dunking for Lake, Arbuckle, and Keaton, and a high dive off the Cyclone. The film’s undoubted highlight, though, is its exotic-dance sequence. Like everything else in the film, it arises out of nowhere, it’s there because it gets laughs. A young woman in Oriental dress begins dancing, apparently as a floor show for the dining patrons. Her routine, consisting of undulating arms, swinging hips, and small, tight whirls in place, indicates it’s pseudo-Egypto-exotica, very much in fashion during that era. Hearing the music, Buster is inspired to imitate. He sidles in a flattened motion across the floor, elbows bent, feet and head angled sideways, torso facing front. It’s clearly a parody of the Denishawn dancers; no doubt the comics has seen that company perform in Intolerance a couple of years earlier (Buster would frequently parody Griffith in his own, later comedies). Then Buster and the girl start to dance in tandem: first side by side, then together, the woman circling a kneeling Buster, who skitters his hands along the floor as if invoking the dust. What makes this routine even funnier is that the two pay no attention to each other as they dance. Each is lost in the bliss of a compelling, private rhythm, all their own. The dance proves literally infectious as, watching Buster, Fatty is moved to perform his own Terpsichorean spectacle. Donning a dustpan, saucepans, a pot adorned with a scrub brush, and two pie tins as breastplates, Fatty takes off, whirling in stately circles, prancing sideways, circling and entwining his arms. Filling a plate with crockery, he scatters cups over the restaurant floor as if strewing flower petals. Sighting a link of sausages, he approaches it slowly, then picks it up and winds it sensuously around his neck. Now the dish washer enters, ceremoniously bearing a head of lettuce on a platter; bowing, he places it on the floor. Fatty tiptoes toward the plate, kneels, and reverently picks up the lettuce, only to drop it in shock (behind him the dishwasher waves a broom as a fly whisk). In mournful mood, Fatty again takes up the sausage, placing one end beneath a pie tin to wait for the “bite,” before cramming the sausage in his mouth. The diners applaud while Fatty skips on to take his bows and I collapse from laughter. How to, in academic jargon, unpack all this? There’s more going on than Arbuckle cavorting à la Egyptienne. No doubt the immediate spur was Theda Bara, who had recently undertaken her own cinematic interpretations of Cleopatra (1917) and Salome (1918). Bara was the last word then in wicked exotica for film audiences, who would have caught on instantly to Keaton and Arbuckle’s antics. But Bara herself came out of the Orientalia craze of the 1910s, as did Ruth St. Denis and Denishawn, Maud Allen, and even Mata Hari. Its roots went back even further, to the late 19th century and the “Salomania” fever of that era, heralded by Oscar Wilde’s scandalous 1890s drama, Salome. Nor was Bara the cinematic endpoint of Cleopatra and Salome adaptations; there was still Nazimova, DeMille, Rita Hayworth, and Elizabeth Taylor to follow. Those were all big-budget productions, a fantasia of feathers, silks, eyeliner, and unclothed bodies for the masses, as lavish as any Egyptian queen or Judean princess could wish for. 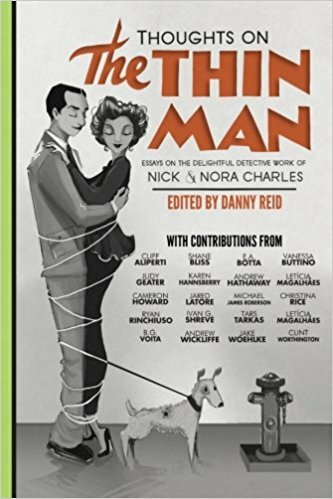 From Denishawn and Mata Hari to The Cook is quite a leap; but I think Buster and Roscoe’s working-class larks, with a sausage for an asp and a clump of lettuce as the Baptist’s head, are equal in spirit to the outlandish capers of Bara et al. Note how fluidly the action is staged, as the dance jumps from the Dancer to Buster to Fatty to Dish Washer, everyone getting into the spirit; even the diners get into the act. What makes it funny is how Arbuckle performs ‘straight,’ as it were; he’s utterly caught up in what he’s doing. Dancing and emoting, his movements soft and seductive, his round face a-quiver with passion, he’s being Salome and Cleopatra, living his little drama in his dance—even to expiring, beautifully, from a sausage bite (the one he takes, not the other way round). It’s a grand show and may just re-write the whole Egypto-Salomania history of the era. And what a great time everyone seems to be having, even 100 years on—making movies, making gags, making art while making people laugh. Thanks for linking to my post. 😊 All the best. I had such fun reading this and I know I’ll enjoy the movie. I just have to be awake to watch and that is not now. My fingers are typing without the aid of my brain. Thanks so much, glad you enjoyed the post. I assure you, you have a treat in store once you watch the movie! Yes, I think everything in the dance routine is meant as a spoof. Thanks for your comment. I like how your posts are about food and the kitchen. I love cooking, so I am having a great time reading these articles. I haven’t watched this film, but I will look it up for sure. I definitely recommend seeing The Cook, and any other Arbuckle-Keaton films available (I think several are posted on YouTube, and there’s a DVD also) – they made a great comedy team.